We touched on the template hierarchy when you created your first custom PDF template, but it’s a little more involved – especially for Multisite installations. It’s also not just limited to PDF templates; you can override the core configuration and image preview files as well. On a standard WordPress installation the template hierarchy is straightforward. Files in the PDF working directory override templates that ship with the plugin – provided they have the same name. When you prepare your website for custom PDF templates all the plugin’s template files are copied over to your PDF working directory so you can override the settings if you wish. It’s straightforward and easy. 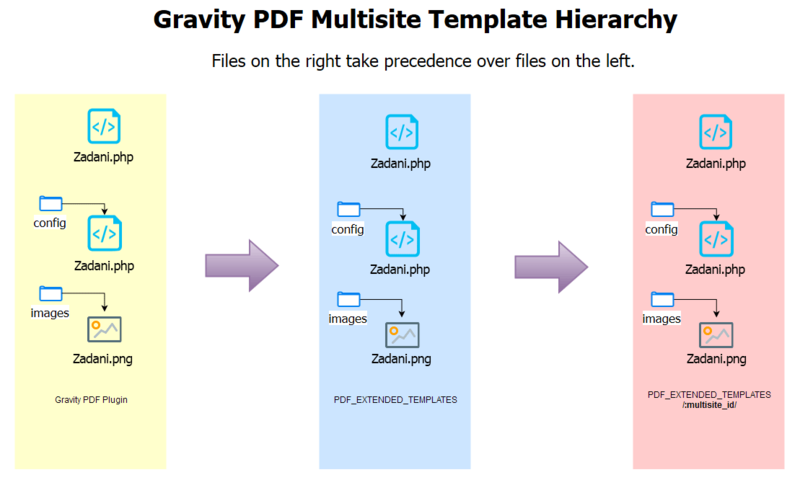 To allow more flexibility with PDF templates, multisite installations add another layer to the template hierarchy. Each website of a multisite installation gets its own PDF working directory so different sites can have their own PDF templates that won’t be included elsewhere. 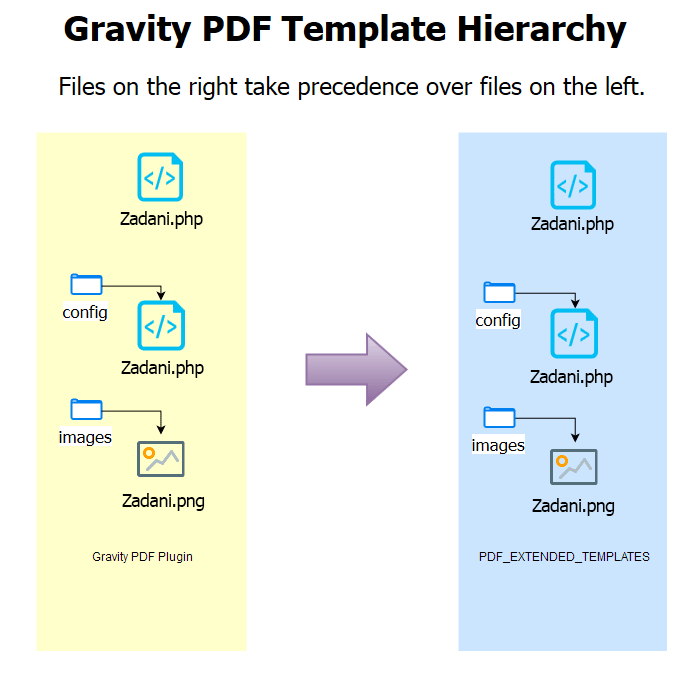 Individual site templates override any global templates in the PDF_EXTENDED_TEMPLATES directory (which apply to all multisite installations), which in turn override the core Gravity PDF plugins (like in a standard WordPress installation).